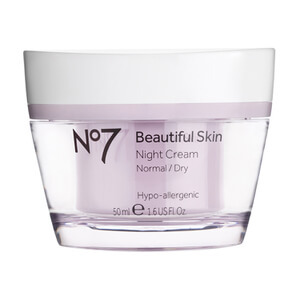 Beautiful Skin Day Cream is a rich and intensive moisture cream to instantly nourish and provide hydration for 24 hours. 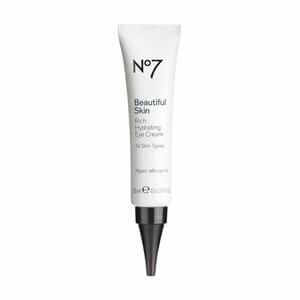 This product provides the perfect base to help makeup go on flawlessly while leaving skin looking and feeling healthy and radiant. 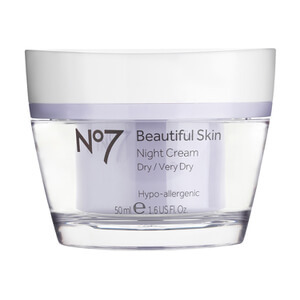 Glycerin, Shea Butter and Ceramides are added to the formula to nourish dry and very dry skin leaving it incredibly smooth for all day moisturization. Nourishes skin and provides optimum hydration. Leaves skin with a healthy, radiant complexion. 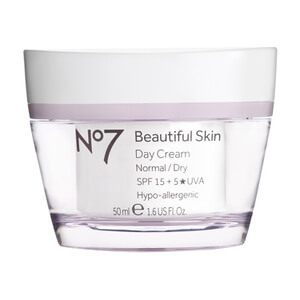 Provides SPF 15 broad spectrum protection. Formula is hypoallergenic and dermatologically tested. Smooth into your face and neck after cleansing every morning for makeup ready skin. Aqua (Water), Glycerin, C12-15 Alkyl Benzoate, Octocrylene, Butyl Methoxydibenzoylmethane, Dimethicone, Cetearyl Alcohol, Cetearyl Glucoside, Aluminum Starch Octenylsuccinate, Tribehenin, Ethylhexyl Salicylate, Ammonium Acryloyldimethyltaurate/VP Copolymer, Phenoxyethanol, Tocopheryl Acetate, Butyrospermum Parkii (Shea Butter), Potassium Cetyl Phosphate, Bis-Ethylhexyloxyphenol Methoxyphenyl Triazine, Dimethiconol, Parfum (Fragrance), Methylparaben, Sodium PCA, Xanthan Gum, Ethylparaben, Diethylhexyl Butamido Triazone, Sodium Lauroyl Lactylate, Ascorbyl Glucoside, Tetrasodium EDTA, Magnesium PCA, Dipropylene Glycol, T-Butyl Alcohol, Zinc PCA, Biosaccharide Gum-1, Ceramide 3, Potassium Hydroxide, Cholesterol, Ceramide 6 II, Phytosphingosine, Carbomer, Manganese PCA, Simethicone, Propylparaben, Potassium Sorbate, Ceramide 1.